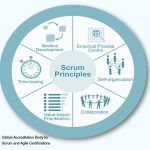 Scrum supports the doctrine of cross-functional, self-managed teams in which individuals help each other in completing the tasks to deliver value. 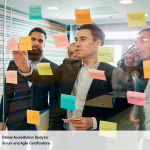 The Scrum Book of knowledge says that employees “deliver much greater value when self-organized.” Self-Organization leads to the team members taking ownership, being entrepreneurial, contributing the best that they genuinely can. 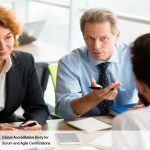 So Scrum proscribes appraisal methods like Stacked ranking that stifle innovation preventing any real work and where employees devote all their time to “cooler talk” and “gaming the system”. We have higher motivation and employees spending their mental power on creativity. But when this Ideal world meets the Real world, it creates a huge headache, to Product Owners and those in Human Resources. They want to know: How do I know which team is doing well compared to others? Another nightmare question is “How do I know who in the team is doing well compared to others?” In the Real world, we have competitors. They want to poach the best performers from your organization if you do not pay well. These competitors also want to outbid you to get more clients. So while the simpleton’s solution to the former Issue might be to pay all employees very well, it increases costs and aggravates the latter. Hence we have to identify the best performers and ensure we retain them. So how do we do it? 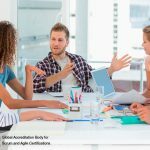 There are many established ways to measure Team performance in Scrum. Comparing Team velocity (with equivalent Story points) and the ratios of User Stories worked on to User Stories “Done” are two examples. This brings us to the Issue of measuring Individual performance. Individual performance appraisal is counter-productive to Scrum; Please do not use it. No, Non, Nein. Instead what we have to do is use the Transparency that Scrum allows us. It creates an environment of collective accountability and continuous progress. You need an empowered and Alert Product Owner who can perceive that particular employee who tries to schmooze with him but always end up giving Excuses for Non-performance in Daily Standups. By empowered, I do not mean the power to fire, but the executive privilege against having to justify every decision. Too many complicated Systems have come due to the fear of either frivolous lawsuits or higher ups getting angry that a junior alumnus has been fired. Scrumboard shows to everyone who cares to see who has being doing work and who has been a laggard. 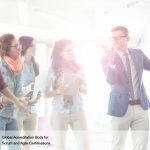 The whole Scrum Core Team knows who deserves a promotion and who does not. Let the team members evaluate each other during the project. 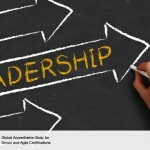 Let the individual evaluate himself during the project. Only once the project is over, should there be a formal performance measurement exercise as per HR needs.